Little Office of the Blessed Virgin Mary: Behold Your Mother By Matthew Russell S.J. Part 3. Mater Dei, Mater Mea. Behold Your Mother By Matthew Russell S.J. Part 3. 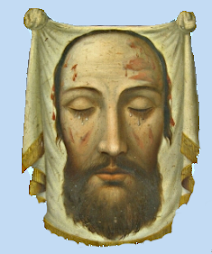 Mater Dei, Mater Mea. Non vos derelinquam orphanos (John xiv. i8). These four words, which, become six in English— "I will not leave you orphans "—are taken from what might almost be called the divinest portion of the Word of God, the farewell discourse of our Blessed Redeemer at the Last Supper. In more ways than one our Lord kept this promise of not leaving us orphans. When the Church turns His promise into a prayer and says in the antiphon of the second Magnificat of the Ascension, " O King of glory . . . do not leave us orphans but send to us the Spirit of truth, the promised one of the Father ''—she indicates one of these ways; and our Lord Himself indicates another when, after saying the words, He adds at once, Veniam ad vos iterum: "I will not leave you orphans, I will come to you again." We know how it is that He comes to us; we know by what device of His omnipotent love He has contrived to come to us after leaving us—to withdraw His visible and glorious presence, and yet to abide corporally amongst us still. But there is another way in which our Divine Redeemer has saved us from being orphans; "I will not leave you orphans" Jesus made this promise the night before He suffered; and He fulfilled it in the very depth of His sufferings on the morrow—when He said the next day, Ecce Mater tua, "Behold thy Mother." But even without that tender legacy, in receiving which—in taking the Blessed Mother of Jesus as his own—St. John the Beloved Disciple represented us all: how could we be orphans while we are able to say, Pater noster, '' Our Father who art in Heaven'' ? Before we go on to think of our Mother who is in Heaven, let us delay for a moment to consider those earlier words of our Lord; let the Our Father here also, as it does almost everywhere, precede the Hail Mary. We are allowed to repeat familiarly, quickly, without much reflection and in a blessed spirit of routine, almost mechanically, the divine prayer which first fell from the lips of Jesus Christ one day that His disciples gathered round Him, saying, "Lord, teach us to pray" Repeated in this manner, the syllables follow one another as a mere matter of course. But when we now and again pause a little longer and meditate upon all the full significance of the Lord's Prayer, we cannot help being struck by the very first word that we are taught to address to God by Him who is God Himself and who best knows the way to His Father's heart. That first word is Pater, "Father;" and the more deeply we ponder on that word and think by whom it is spoken and to whom it is spoken when it is spoken by us to God—the more we reflect on what is meant by "Father" and on all the feelings and associations that cling round the name of Father—the more thoroughly do we enter into the mind of the Church when every day in the Mass she prefaces that prayer with the words audemus dicere: "we dare to say Our Father." Warned (she says) by salutary precepts and formed by the training of God Himself— only after being thus admonished and thus taught;, only then can we dare to say "Our Father who art in Heaven" But we must dare it. It is the boldest stretch of daring, the utmost audacity of human ambition to dare—we wretched worms of the earth—to dare to address by the name of Father the eternal, infinite, almighty, and all-perfect God, saying to Him, "Our Father who art in heaven" Yes, we must dare it; for from that heaven the voice of the Eternal Father has been heard, saying, '' This is My beloved Son, hear ye Him ;'' and we must hearken to Him and obey Him, even when He says, " Thus shall ye pray : Our Father who art in heaven." This name of Father, on which the great God deigns (to use too human a phrase)—deigns to pride Himself, is but another name for God's love ; that mysterious love which nothing can explain but which itself explains everything ; that mystery of mysteries which alone makes all other mysteries conceivable. The hardest act of faith by far is that to which St. John the Apostle of Love exhorts us by his example : Credidimus charitati quam Deus hahet in nobis (i John iv. 16)—"We have believed in the charity that God hath to us.'' We believe, as our Lord Himself said before, that (John iii. 16) " God has so loved the world as to give His only-begotten Son '' to be our Brother and so made Himself our Father. Therefore it is that Jesus who knows His own heart and ours, puts as the first word on our lips when we move them in prayer to God, "Our Father who art in Heaven ; " and in the great parable of the Prodigal Son He represents God as yearning for His erring creature like a father yearning for his lost child ; and of the Seven Words upon the Cross the first and the last begin with " Father." There is an admirable little Italian book of devotional discourses in which this parable is followed at once by a meditation on our Lady's intercession ; and the author (Biamonti, a secular priest) makes the transition from one subject to the other by suggesting that the poor Prodigal would have come back more speedily and with less misgiving if there had been a mother waiting lonely for him at home and eager to plead for him with his father. But this thought is unjust to the more than motherly-tenderness of Him who kept watch for the Prodigal "who saw him from afar"and ran to meet him and fell upon his neck. A mother's heart was yearning for him at home. Our heavenly Father is our God and our all; and, as Jesus once stretched out His arms to His disciples and expressed His affection towards them by that wonderful ascending climax of love, " Behold My brothers and My sisters and My mother! ''—even so we in turn may stretch out our arms to Him, and claim from Him with confidence in all its fulness all the love that He can place for us in the hearts that are bound to us by these strongest and tenderest of human ties. They bade me call Thee Father, Lord! Sweet was the freedom deemed. Yes, He is father and mother and all—all the tenderness of all human hearts united together would be only a drop and not even a drop out of the infinite ocean of God's love, less than one little foam-flake that hardly wets for a moment one tiny pebble on the beach compared with aU the wide seas and unfathomable oceans. But now God's love has become incarnate in Jesus our Lord and Saviour ; and as (to repeat our Lord's own words again) "God has so loved the world as to give His only-begotten Son" so that divine Son has so loved the world as to give His own Mother to be our Mother also : that, as "we have the spirit of the adoption of sons whereby we cry Abba ! Father ! "—so, too, our hearts may be drawn heavenward with the cry, " Hail, Mary, our Mother ! " Thus, having the Son, Himself Divine and Coequal, as our advocate with the Father, we have also an advocate with the Son, a creature like ourselves and yet so unlike to us, one who is to be for us, as she is for Him, too, all that is contained in the sacred name of Mother. Sixty years ago a gifted and generous-hearted Irishman (Thomas Davis) wrote : " In a climate soft as a mother's smile, on a soil fruitful as God's love, the Irish peasant mourns "—another instance of the constant linking together of mother's smile and God's love, of God and Mother. Nay, God Almighty Himself, when He would place His love for His poor human creatures far beyond all that mere created hearts can contain, takes His example of unsurpassable human love which His own love alone surpasses, and surpasses infinitely—He takes this extreme and uttermost example from the heart of a mother, and asks, as it were defiantly, "Can a mother forget her infant so as not to have pity on the son of her womb ? And if she should forget, still will not I forget thee'' (Isaias xIix.). Yes, the sublime dignity of true and worthy motherhood is the most vivid image of the unwearying Providence of God. Best known, however, of all such heathen illustrations of a mother's power—best known because the mightiest dramatic genius that ever thrilled the world's heart has told the storj, and made us see it at its climax : how Coriolanus, after winning brilliant victories for his native Rome> had fallen a victim to the jealousy of his enemies and been cast forth in disgrace, an outlaw ; how he then joined his country's foes and led them^ too, to victory, and how he next turned his arms against Rome herself. The terrified city sends out embassy after embassy to the invader, the highest senators and his former friends, entreating him to withdraw his forces, and offering the most abject terms of submission. In vain. Coriolanus is inexorable. He rejects all their overtures with scorn, and continues his triumphal march of vengeance. At last his aged mother, Volumnia, (So called in Shakespeare. Father Felix, S.J., calls her Veturia. His wife's name was Virgilia) is conducted to his camp, and casts herself in tears at his feet. At once the stern conqueror yields to his mother's prayers, forgoes his brilliant revenge, and saves Rome from destruction at the cost of His own. " O mother, thou hast saved Rome, but thou hast destroyed thy son," Soon after Coriolanus was slain, a victim to the disappointed rage of the Volscians. If these are pages from heathen story when woman was degraded and so many of the finer instincts and feelings of the human heart were killed or deadened, what must needs be a mother's place in a true Christian heart under that purer and nobler dispensation established by the Son of Mary, wherein the Madonna, in whose arms Jesus lay as a child, has become the ideal of redeemed and exalted womanhood ? Above all, what must Mary's place be in the Heart of Jesus, and in the hearts of all who aspire to be His brothers, children of His Mother? For Mary is mother of Jesus. She is His true Mother, and He is her true Son ; and all that the truest and most loving of sons can feel towards the best of mothers—that and infinitely more Jesus feels towards Mary ; while Mary in her turn loves Jesus as her Son with a natural love beyond what all mothers' hearts can hold, and she loves Him as God with a supernatural love beyond the love of saint or seraph or of all saints and seraphim combined. But though the love of Jesus filled her immaculate Heart, there is room in that heart for us also whom Jesus has associated with Himself in Her maternal love. 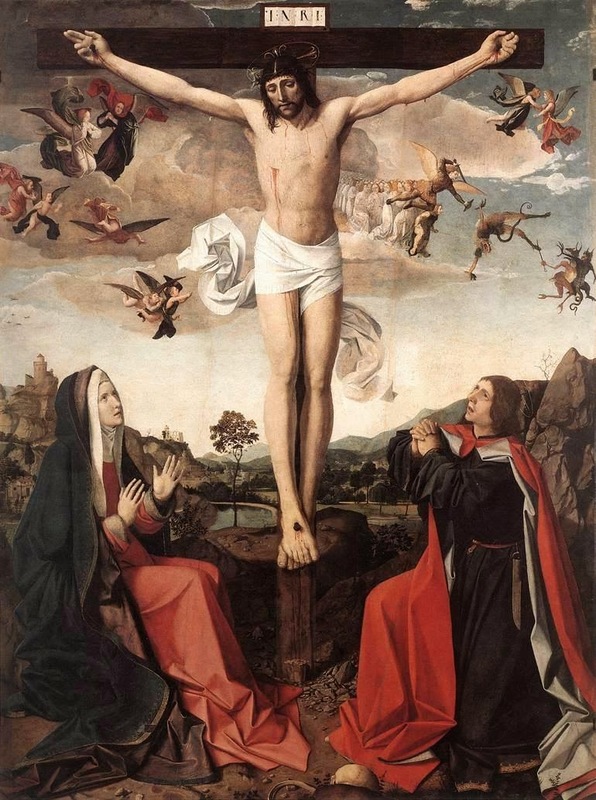 As He said, " I ascend to My Father and to your Father "—as He bade us, in praying to Almighty God, to begin by saying, " Our Father who art in heaven " : so from His throne in heaven, as from His cross on earth. He looks from her to us and says, "Behold your Mother," and with a mother's name He gives to her a mother's heart for us all. How do we, her children, feel towards her in return ? Let us examine how we stand on this score, set right what is amiss, and supply what is . wanting. Let us turn in earnest to the Blessed Virgin Mary, ever Immaculate; let us look up to her, think of her, read about her, say her Rosary well, pray to her with confidence as Queen of Heaven and Mother of God, and yet our own loving and patient mother also. Let us remind her of what she never forgets, that, like Queen Esther, she has been raised up so high, not for her own sake only, but for ours, for the sake of her people. And when the King says to her, as Solomon said to Bethsabee, " Mother, ask! I may not turn away thy face," or as Assuerus said to his Queen, " What is thy petition, Esther ? Though thou shouldst ask half of my kingdom, I will grant it to thee "—our Blessed Mother will exercise on behalf of us her poor children her supplex omnipotentia, her suppliant omnipotence, her all-powerful supplication, the almighty intercession of maternal love. "These, my Son, are also the children of my love. As Thou on Calvary, looking at me with those eyes which were then closing in death, didst say to them, ' Behold your Mother ! '—I now say to Thee in turn : Behold Thy brethren, children of Thy Mother. Look on them with pity, look on them with love, for they love me."